A lifelong resident of Somerset County who resides in the Borough of Raritan with his wife, Lou Ann. Sheriff Provenzano joined the Bridgewater Township Police Department in 1968 and retired in 2001 as Captain of the Administration Division. As a member of Bridgewater Police he saw all aspects of police work, from road patrol to working undercover assignments in the detective bureau to serving as the Commander of Emergency Service Division, which included SCUBA, Heavy Rescue and Haz-Mat. He was an assistant coordinator for the Somerset County Emergency Response Team Hostage Negotiations Unit. He is a 2002 graduate (class president) of the National Sheriffs’ Institute Executive Development Program, sponsored by the National Sheriffs’ Association and the National Institute of Corrections. 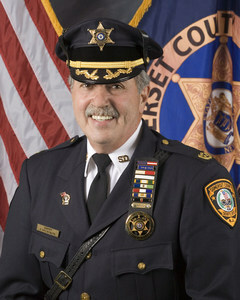 He has been the Somerset County Sheriff since January 2002.